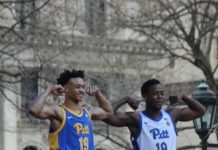 The epitome of a proud Pitt man. 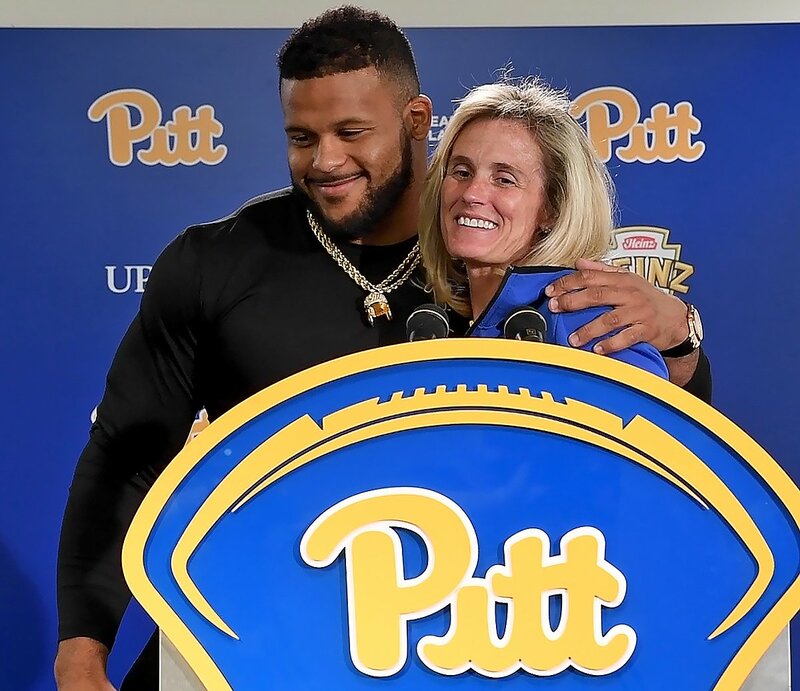 In recognition of Donald’s momentous pledge, the ground floor of Pitt’s Duratz Athletic Complex practice facility will be renamed the “Aaron Donald Football Performance Center.” This area includes the Panthers’ locker room, athletic training room and weight room, where Donald still trains during the NFL offseason. As a senior in 2013, Donald was an unstoppable force despite facing an array of blocking schemes designed to slow him down. He led the nation with 28.5 tackles for loss and added 11 sacks, four forced fumbles and a blocked extra point. 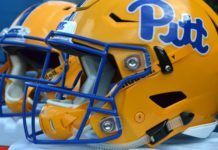 At season’s end, Donald was named a unanimous first team All-American and the winner of the Bronko Nagurski Trophy, Chuck Bednarik Award, Outland Trophy and Rotary Lombardi Award, making him one of the most decorated players in Pitt history. Selected by the Rams in the first round (13th overall) of the 2014 NFL Draft, Donald has been named to the Pro Bowl in each of his five professional seasons. 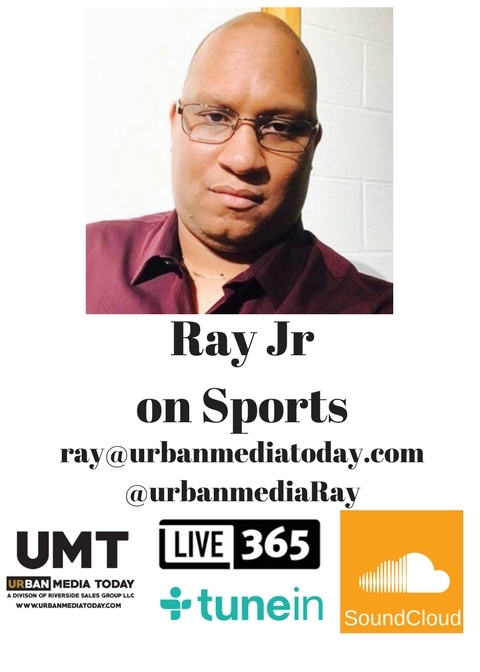 He was honored as the NFL Defensive Player of the Year in 2017 and 2018, joining Hall of Famer Lawrence Taylor (1981- 82) and J.J. Watt (2014-15) as the only back-to-back winners of the award. During the Rams’ drive to the Super Bowl this past season, Donald led the NFL with 20.5 sacks, the most in a season by an interior defensive lineman in NFL history. He additionally paced the NFL in tackles for loss (25) and quarterback hits (41). Reflecting his lofty status in the NFL, Donald played a memorable role in the league’s “The 100- Year Game” commercial that aired during this year’s Super Bowl telecast.